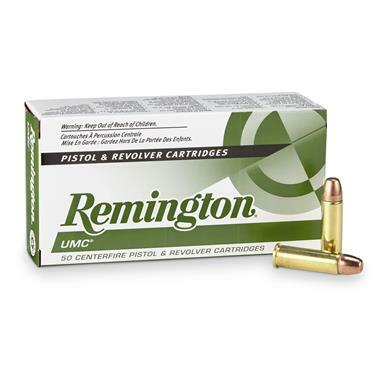 Remington® UMC® Handgun Ammo, tops in performance and value. Please note that "Metal Case" is Remington's term for the standard Full Metal Jacket. 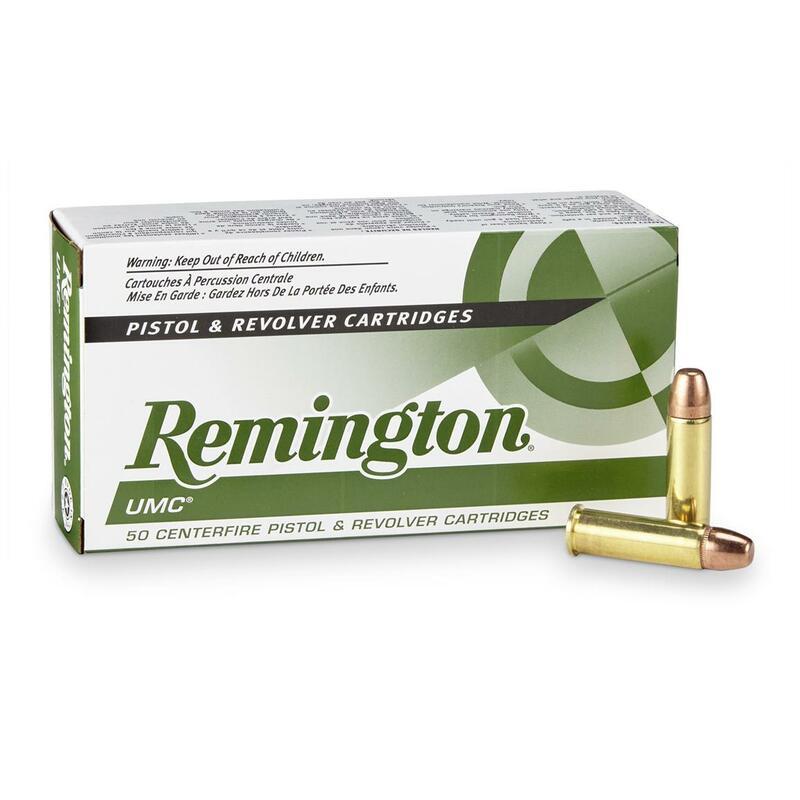 Order your Remington® ammo today! Remington UMC, .38 Special, MC, 130 Grain, 50 Rounds is rated 4.8 out of 5 by 24. Rated 5 out of 5 by Beckypap9 from Good price Nice ammo and good price. Rated 5 out of 5 by Edward from Excellent quality ammo at a good price. Perfect ammo for practice with my S&W Mod 28. Rated 4 out of 5 by mitch from reasonably priced The bullets worked flawlessly ........good rounds for plinking. I've always had good luck with Remington. 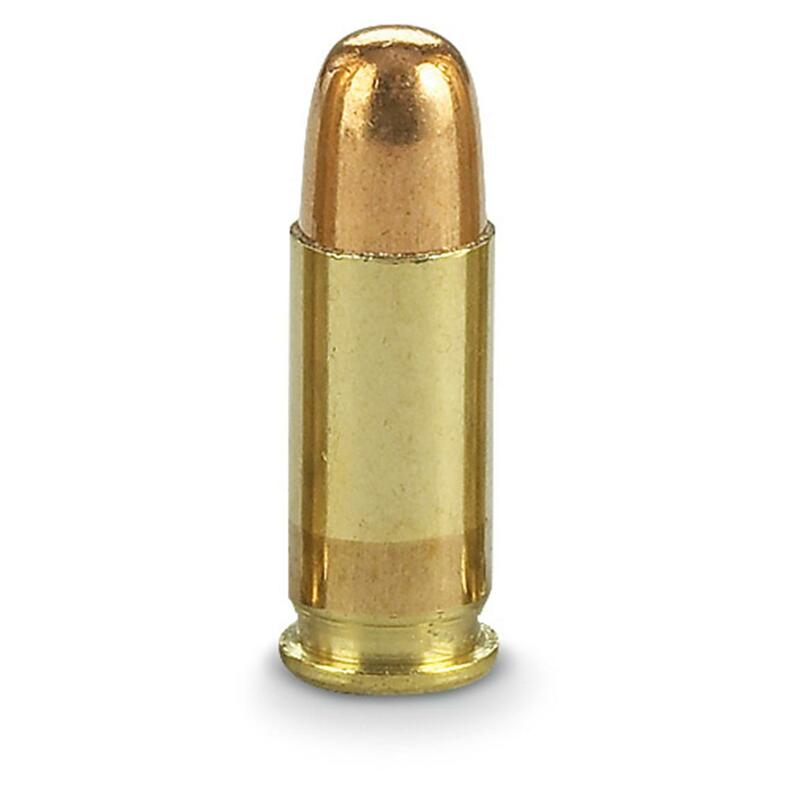 Rated 5 out of 5 by bahumbabum from great ammo good practice ammo. Rated 5 out of 5 by mgm50 from GREAT PRODUCT AND FAST SHIPPING I have not fired any of this as yet, but all Remington products have never failed to satisfy my needs. As always, the SG shipping is great, and the product was packaged to avoid any problems with the contents of the box. My go to store for all my ammo, and gun needs. Rated 4 out of 5 by arp1 from good price good ammo as advertised quality ammo at good price . as always fast shipping. Rated 5 out of 5 by Tom Homer from NEAT HOLES IN TARGET This Remington 130 gr. ammo held tight groups and punched neat little holes in the target. I had no issues of any kind although I have had cleaner ammo but for the range or even self defense these are great and with a Remington rebate, a good time to buy. It performed perfectly in my Taurus Model 85. Happy trails. Rated 5 out of 5 by mkd66 from Fair price for a 'name brand' performs well. No problems.